TAKE ACTION NOW! 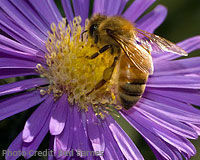 Canada, Ban Honey Bee Killing Pesticides Now! 37 million bees have died at just one Ontario honey farm this year. Demand that Health Canada take action and ban toxic pesticides. Olivia, You signed on July 6, 2013. Teresa, You signed on July 7, 2013. Already signed and noted. Thanks Cal! #9,065. Only 45 more sigs needed to reach goal. Signed # 9,071 & Noted & Thanks for posting Cal. Signed #9116. Noted. Thanks, Cal. AniMaeChi, You signed on July 6, 2013. Signed and Noted. Save the Bees!!! Thanks, Cal. Victoria, You signed on July 7, 2013. Constance, You signed on July 6, 2013. Signed and noted. Thanks for sharing. Thank you for Sharing this.... ! Lisa, You signed on July 15, 2013. Already signed on July 5th. #9621 out of the needed 10,000! Signed and loved seeing the #! Missed this one Cal in signing, TU for drawing my attention to it to sign! together with Sumatran Tigers (Java & Bali Tigers already EXTINCT), Elephants, Rhinos, Clouded Leopards, Sun Bears, Wildlife, Biodiversity they face Extinction!! Only 300 Sumatran Tigers left on Earth!!! 300 Football Fields of Rainforests are CLEARED every hour in SE Asia to produce Palm Oil: a hidden, not labelled, unhealthy ingredient in the products we buy. We MUST do WHATEVER is possible to SAVE them all!! AGAINST: Corporate Control, Deforestation, Illegal Logging, Global Warming, Pollution, CO2Emissions, Indigenous Peoples Displacement, Pet Trade, GMO Food, Vivisection, Bee-killing Pesticides… Also other Primates, as Chimpanzees, Gorillas, Gibbons, & Monkeys for Vivisection are dealt in this Group. Petitions/Info/Videos/Pics are here.